Without the text overlay, the logo is a picture of bomb damage with a broken B in the area of sky. 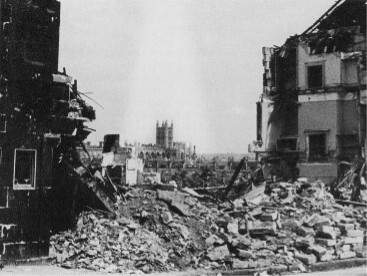 The bomb damage is in Wells Road, where the collapse of the stricken buildings near the foot of the hill revealed a striking view of Bath Abbey, apparently unscathed after the blitz, though in reality most of its windows were damaged. The actual photograph (below) was taken by Noel Harbutt, and is now held in the Bath Library collection. For the logo, colour was added in place of greyscale tones. 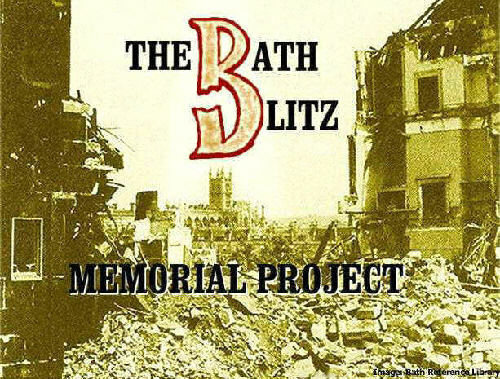 The words The BATH BLITZ were then superimposed on the photograph in a blank piece of sky, and the words MEMORIAL PROJECT were added across the rubble at the bottom. Both "Bath" and "Blitz" share the same B which is a line drawing of a real relic from the war. The broken B is a relic of a bomb blast in James Street West, wrecking (amongst other things) the premises of Bath Wholesale Fruiterers, which used to have BWF in large metal letters on the front of the building. A relative of one of our Committee members took the damaged B from the rubble (the W and F were never found). 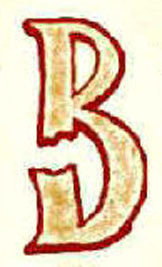 The broken B seemed ideal as a symbol of the blitz, and will take pride of place in any eventual museum display. A number of people pointed out to me that for those with slow dial-up connections to the Internet, the use of the full Project Logo on the Home Page of the earlier design of web site resulted in a long wait while the page loaded. On this redeveloped website, I have chosen to use just the broken "B" with the copyright notice.